Award-winning mystery author Dianne Day was destined for her career at an early age -- she wrote her first mystery novel at the age of eight. Although The Case of the Cross-Eyed Cat was never published, it encouraged her to think of writing as a full-time career. Born in the Mississippi Delta, Dianne's father died when she was a baby and she lived with her maternal grandparents until she was seven. After that she joined her mother and stepfather and moved to the San Francisco Bay. After graduating from Stanford University with honors, earning membership in Phi Beta Kappa and a B.A. in English, she married and moved East to Cambridge, Massachusetts. There her husband got his Ph.D. in English and went onto the faculty at Harvard; Dianne worked, did a year at Radcliffe Institute, began graduate study in Psychology at Tufts University and had two sons. At the height of the Civil Rights Movement and the Vietnam War, Dianne's husband took a job at the University of North Carolina and moved the family to Chapel Hill. 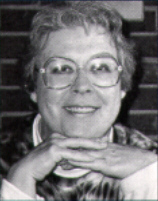 Though they were divorced a few years later, Dianne remained in Chapel Hill so that her sons could be near their father. The divorce put an end to her psychology study at the Master's level; later she earned a certificate in hospital management from Duke University's Department of Health Administration. To support herself and her sons she worked first as a psychologist in a country mental health center, and then as an administrator (in pathology) at a large teaching hospital. During these years she did write, but only for her own enjoyment, mostly poetry. Dianne began to write seriously when the youngest of the two sons went to college. Though she came from an academic background, from the beginning she wanted to write popular fiction. Because romances were taking off in the mid-eighties, she chose first to write a romance; this book was never published (She says it violated all guidelines -- she'd never heard of guidelines and still today is not too good at following any such things) but got her an agent. The second novel she wrote became her first published book: Obsidian, a romantic suspense novel with a strong contemporary Gothic atmosphere, was published by Pocket Books in 1987; Pocket also published The Stone House in 1989. Following these two books in her own name, Dianne wrote four romantic suspense novels for Harlequin Intrigue under the pseudonym Madelyn Sanders: Under Venice, Sarabande, Darkness at Cottonwood Hall, and Laird's Mount. Under another pseudonym, Diana Bane, she wrote for Berkley Eyes of the Night, also romantic suspense, and her only novella, a romance with a reincarnation theme: "Lovers of the Golden Drum," in Timeless with Linda Lael Miller. In 1993, Dianne was able to follow her dreams once again, as she'd done when she wrote that first novel: she gave up her "day job" and moved back to Northern California. Now she resides in San Francisco and writes full time. Dianne's first mystery and first historical novel was The Strange Files of Fremont Jones (Doubleday, 1995), which debuted to critical acclaim, won the Macavity Award for Best First Mystery, and garnered her a new group of loyal readers. The book introduced Fremont Jones, an independent young woman living in San Francisco around the turn of the last century. The success of The Strange Files of Fremont Jones led to a multi-book contract with Doubleday. The other books in the series are Fire and Fog (Doubleday, 1996), The Bohemian Murders (Doubleday, 1997), Emperor Norton's Ghost (Doubleday, 1998) and Death Train to Boston, which is scheduled for release in September, 1999. Dianne spoke with us about how she got her start as an author, how she created her popular amateur sleuth Fremont Jones, and gives advice for mystery writers trying to break into the field. Since I was about eight years old. Around that time I wrote a "mystery novel" that was about 35 pages long called The Case of the Cross-Eyed Cat. This novel was heavily influenced by Nancy Drew and the Charlie Chan movies. My heroine was named Misty Waters, and all these years later I can still sort of remember the plot. "In romantic suspense -- at least as it's understood today by all the editors I worked with when I was writing that genre -- there must be a 50/50 balance of the romance with the suspense, and both the man and the woman who are the principle characters must have an equal part in solving the crime. I don't do that in the Fremont Jones books. The mystery must come first, both for Fremont and for me as the writer." sons graduated from high school and went off to college. I had my sons when I was in my early twenties. I'd married right after college graduation and was divorced when the boys were 6 and 10; after that I was a single mom. My BA is in English and I have grad degrees in Clinicial Psychology and Health Administration. I mainly supported the kids by working as a hospital administrator, and even though during all those years I was forever writing things and putting them in a drawer, I simply never even tried to write a whole novel. It was always in the back of my mind, though. When both sons were finally safely in college I wrote my first novel as a lark -- that was in 1985. I enjoyed it so much that I joined a writers group, and they encouraged me to try to publish it. That particular book didn't get published but it did get me an agent. The agent (not my present agent; I've had several before finding the one I have now, whom I like very, very much and hope to keep forever) wanted me to write romance novels; I wanted to write mysteries. We compromised on romantic suspense and the first novel I wrote for him (the agent), titled Obsidian, was published by Pocket Books as a paperback original in 1987. Since then I just never stopped writing. And publishing. What kept you going during the lean times before your first book was published? Essentially, I kept working full time. However, I did leave my healthcare profession because I very quickly discovered I can't write and work in healthcare at the same time. I write out of my emotional energy, and working -- even as an administrator -- in healthcare is very emotionally demanding, at least for me. I worked as an office manager and wrote on the weekends. Immediately my income was cut by more than half. When I started writing seriously I became poorer in dollars but much richer in spirit. How did The Strange Files of Fremont Jones come about? Remember that first agent who wanted me to write romantic suspense? I finally couldn't take it anymore with the guidelines and restrictions they imposed, and so I rebelled. Strange Files was my act of rebellion. One of the most attractive aspects of the series is Fremont herself, a very spirited and independent young woman, especially for the times in which she lives. How did you create Fremont? Fremont created herself and came to me in a dream. This is the absolute truth. I woke up one morning with her voice in my head. She sounds the same way in my head to this very day. That first morning she said "My name is Fremont and I'm a typewriter." I had to look up typewriters in the encyclopedia to find out that back then they called the people who did the typing "type-writers" and the machines were called typewriting machines. I suppose deep in my subconscious I must have learned this fact at some time and put it away somewhere, but it's always possible Fremont was simply a gift from some mysterious source that looks after us creative types who don't have much sense. The city of San Francisco around the turn of the century is really a character in itself in the stories. How did you research this era? It feels so authentic. I first came to San Francisco when I was very young and fell in love with this city. Much of the sense of place comes from my being in love with it. Even though I've lived more of my life in other places, and have only lived in San Francisco for the past two years and may for practical reasons eventually return to the East, I will always have a very special feel for it. I research through primary sources as much as possible, i.e. letters, diaries, newspapers; then I go to books. Historical photographs are particularly important to me. I look at buildings and streets and so on as they are now, and study pictures of how they were then, until I reach some kind of mystical place where I begin to see (as it were) with old eyes. I have to be able to see, feel, hear, almost taste and smell the past overlaid upon the present; then I can write. I'd like to talk about the latest book in the Fremont Jones series, Emperor Norton's Ghost. What was the genesis of the book? Emperor Norton always appealed to me, he's just a fun guy who happened to really have lived and deserved some attention I thought. The real genesis of the book was my knowledge of how important Spiritualism was in advancing the position of women during the latter half of the 19th Century and into the first decade of the 20th. Emperor Norton's Ghost explores the world of spiritualism. Do you have an interest in this area? Yes, in particular as it relates to the history of psychiatry and psychology. Those are my two main interests. I have a very heavy psychological bent, which is why I studied it in grad school. My divorce interrupted my Ph.D. and I had to stop with just a Master's; then for practical reasons I went into administration instead. But the workings of the mind endlessly fascinate me. Does the time period of the Fremont Jones novels present any particular difficulties when writing certain aspects of the book? For example, the dialogue feels authentic for the times. Does the flowery way that the Victorians referred to delicate matters give you any trouble when writing, say, a love scene? The language gives me trouble when writing ALL the time, not just the love scenes. I do get very tired of it. I would almost kill sometimes to be able to write a contemporary book just because of this language situation. Let's talk about Fremont's love interest, the exotic and compelling Michael Archer. How did you create Michael? Michael just gradually grew. All of my characters create themselves and give themselves to me. I don't create them. Not consciously anyhow. I realize they must come from someplace inside me but I'm not sure how it happens. Do you face any difficulties when balancing the romantic side of the stories with the mystery side of the tales? Yes. This is why I quit writing romantic suspense, though. In a mystery the mystery elements will always have precedence, and Fremont Jones is my protagonist. The crimes are hers to solve. In romantic suspense -- at least as it's understood today by all the editors I worked with when I was writing that genre -- there must be a 50/50 balance of the romance with the suspense, and both the man and the woman who are the principle characters must have an equal part in solving the crime. I don't do that in the Fremont Jones books. The mystery must come first, both for Fremont and for me as the writer. Can you give us a sneak peek into Fremont's next adventure? The fifth Fremont Jones book is titled Death Train to Boston and will be out from Doubleday in hardcover in September of this year. In this book, as the title indicates, Fremont and Michael are on their way to Boston on a train (the J&K Agency has been hired for an undercover job), when something disastrous happens. They are separated in the disaster, and so the book is written both from Fremont's usual first person point of view, and from Michael's point of view in third person, as each handles what has happened and they try to find one another again. When plotting a story, do you use outlines? I don't use a detailed outline. I work from a synopsis and plot points. Oh yes, all the time. One of the best examples I can think of is Patrick in Emperor Norton's Ghost -- he caused me to change a huge chunk of what I'd thought would be the plot. Well, it was Patrick and Frances together, really. These two fell in love which was not what I'd intended but I just couldn't stop them. I can't say more than that because it would spoil the book for those who haven't yet read it. What is the greatest challenge you have faced professionally? I moved back to California and started writing full-time in 1993. It happens that the publishing business began to undergo some huge changes right about that very same time. Supporting myself is my greatest challenge, but I'm at a point of no return now. I must make this work. I use the Internet a lot, both for research and to stay in touch with others who are interested in the mystery field both for business and pleasure. I'm sure I feel about it the same way most of us who are on the Internet do: It's wonderful, and I don't know what I ever did without it, but it sure does take a lot of time. I understand you are also under contract to write a standalone historical novel. Can you tell us a bit about that? "Write what is in your mind and heart, no matter what anyone says to you; pay no attention to all the stuff you hear about "the market." about this book. My title (which has evolved -- I think I may mention another title for this book on my website or in some earlier correspondence) is When the Bones Cried. Basically this book is about what happens when a culture's ability to destroy people gets far ahead of its ability to heal. The book is set in 1863 on the Sea Islands off the Coast of South Carolina, which were at that time occupied by the Union Army. As a point of reference, the Emancipation Proclamation was issued by Lincoln in January 1863. My book is a mixture of fact and fiction, and I've done extensive research in original sources. I'm very excited about this book. S.J. Rozan, Ian Rankin, Val McDermid, Ruth Rendell, Jeffery Deaver, John Sandford, Sarah Smith, P.D. James -- these are just a few. Margaret Atwood is for me in a class by herself; I am completely in awe of her. What has surprised you most in your career so far as an author? The first time I went to Bouchercon and people knew who I was. That just blew me away. What is your advice to aspiring mystery authors? Write what is in your mind and heart, no matter what anyone says to you; pay no attention to all the stuff you hear about "the market." Who are some of your favorite poets? Do you write poetry yourself? Yes, I do write poetry but I've never tried to publish it. It seems too personal somehow, and I go through periods when poetry comes and when it doesn't. I suppose my favorite poets are all dead ones -- Emily Dickinson being right at the top. My contemporary favorite is Jane Kenyon. I also like Margaret Atwood and some of Maya Angelou. Oh, and Pablo Neruda, who can take me apart at the seams better than anybody. I'm beginning to write When the Bones Cried. I recently finished the sixth Fremont Jones book, Beacon Street Mourning, which will be published in the year 2000. What would make you the happiest to hear a reader say after reading one of your books? "I loved it so much I couldn't put it down."